Cold Sore (Herpes simplex virus-1) under a microscope! A cold sore may not brighten up your day, but at least it’s not the plague. 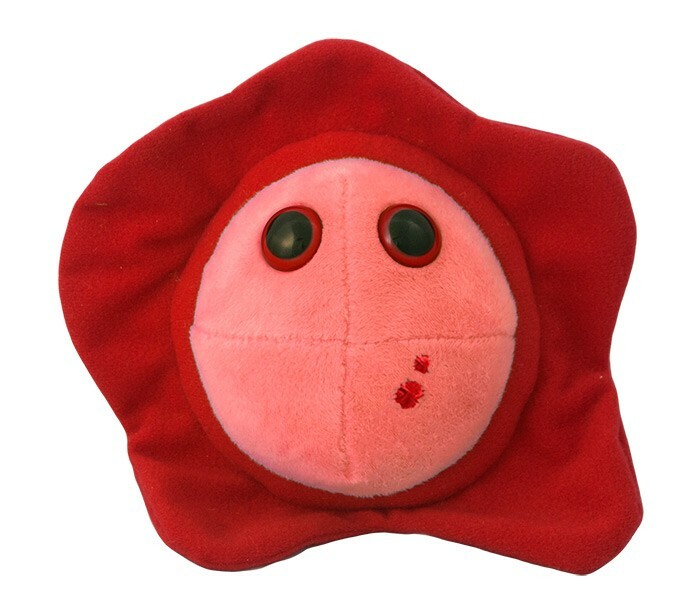 When this adorable microbe departs you’ll be looking and feeling your best! FACTS: Cold sores, also called fever blisters, are mostly caused by the herpes virus. This family of viruses has 100 members. One of the main types causing cold sores is Herpes simplex virus type 1 (HSV-1), but it’s anything but simple! HSV-1 tends to infect you through your mouth and then invades the closest nerve endings. Local symptoms begin with mouth or lip pain, a fever, and swollen glands. Blister-type lesions may then appear. These cold sores are highly contagious. Although harmless, cold sores are often as painful as other common mouth disturbances such as canker sores, the fungal infection candidiasis, and bacteria causing a tooth abscess. The good news is that HSV-1 cold sores usually heal on their own within two weeks. Ointments and other treatments may get rid of the sores only one or two days faster. More good news is that the herpes virus may not cause sores or other symptoms at all. The bad news is that HSV-1 can't be cured. After you get infected, the virus stays in your body for the rest of your life! That is why an estimated 65% of the world population has the herpes simplex virus type 1. The scientific name for a cold sore is 'herpes labialis', which means lip in Latin. It is commonly called a cold sore because the sore often appears when one’s immune system is weakened and you have the symptoms of the common cold. 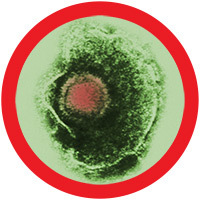 The word herpes means to creep or to crawl which refers to the spreading nature of the virus. Ranges from 2 millimeters to one centimeter. Symptoms will appear within 2 to 20 days after contact with an infected person. Symptoms can include feelings of a typical viral infection such as fatigue, headache, fever, and swollen lymph nodes. Pain, itching, burning, and tingling are also common at the site where the blister forms. Antiviral drugs can lessen the symptoms, but there is no cure for herpes viral infections. Some medications do claim to prevent the reoccurrence of outbreaks. When an outbreak does occur simple washing with water and placing a bandage over the blistered area can help reduce the pain and discomfort. Cold sores are contagious from the time symptoms first occur until the scab fully disappears. They are most contagious when they rupture and fluid seeps out. Ten percent of people infected with type one herpes simplex develop cold sores after one to two weeks. Cold sores are a small branch on the tree of herpes. The herpes virus was prevalent as early as ancient Greek times. Even Shakespeare was thought to have the herpes-like symptom of reoccurring lesions. Throughout history, herpes has been a heavily stigmatized disease; those infected were often chastised and avoided until the disease was better understood in the mid 1900s. There are now plenty of antiviral drugs, medical treatments and support systems for those with more serious forms of the virus. About 60% of the people who are carrying the herpes virus have symptoms that don’t fit into the classic symptom profile and they may not know at all that they are infected. However, for those who do get cold sores, the experience can be a big pain in the mouth. Though the sores can also appear on parts of the body other than just the mouth and lips. The virus is actually very fragile and doesn’t have much of a life when it leaves the human body. It dries out when it is exposed to air.